Shawna is a crafty gal from the Sonoran Desert who wishes she had more time for crafting! 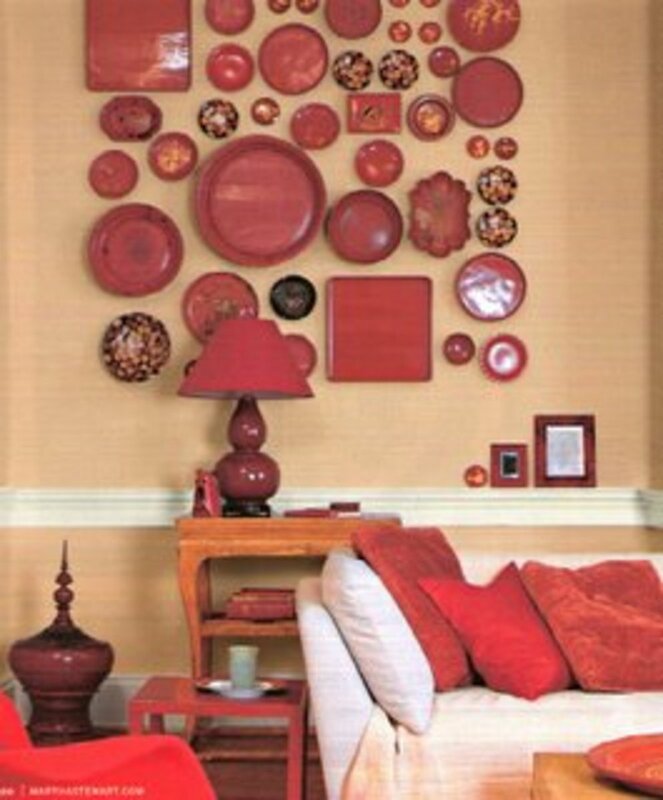 When designing a collage, choose one color, but vary the types of plates you use. The easiest and least expensive way to jazz up the décor in your home is to use things you already have hidden in the depths of your house. Some of these items might need a little updating, and others will simply need to be cleaned up and properly displayed. Instead of spending money on something new, search through your closets and drawers to find items that can be recycled into beautiful works of art. Decorating this way doesn't just save money. It also saves the environment by keeping your rediscovered treasures out of a landfill. It's fun to turn things you don't like into treasures that you love. Display your favorite serving pieces above kitchen cabinets. Don't just set the table for company! Keep it set every day, so you can enjoy it! Do you have pretty dishes you love that just sit in the cabinet waiting for special occasions to be used? Instead of hiding these pieces, display them in your home. Hang plates on the wall using a plate hanger. Plate hangers mount on the back of the plate and are barely visible when the plate is on the wall. Group two or more plates together for a finished look or group them with other items in a collage. Plate hangers and stands usually cost $2–$5 and can be found at most craft stores. Bowls are better displayed on a flat surface using a stand. 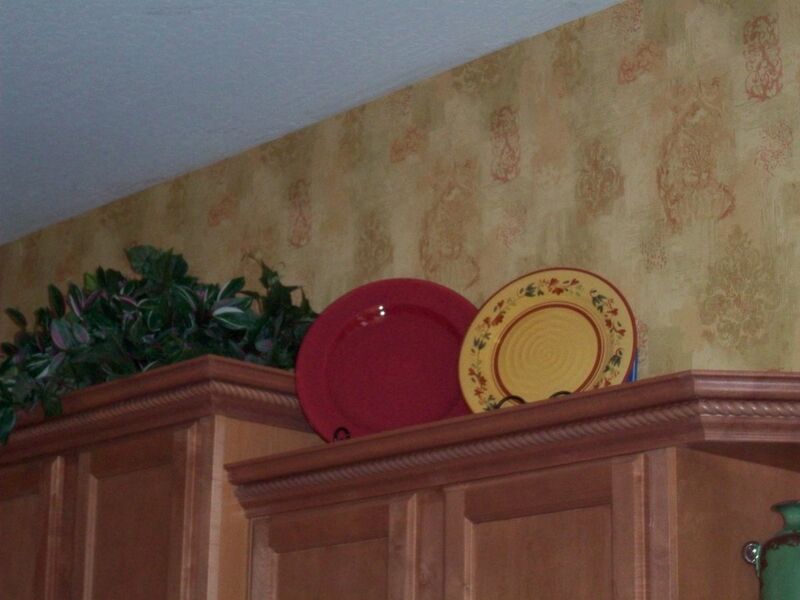 Small bowls can be easily displayed on shelves, while large serving bowls and platters look great atop kitchen cabinets. If you'd like to display a bowl on a table top, fill it with fruit or flowers. These can be fresh or artificial. If you have a dining room table that isn't used regularly, decorate it by setting the table with your favorite dishes and leaving them out all the time. Along with the dishes, include placemats, cloth napkins, and a nice centerpiece. 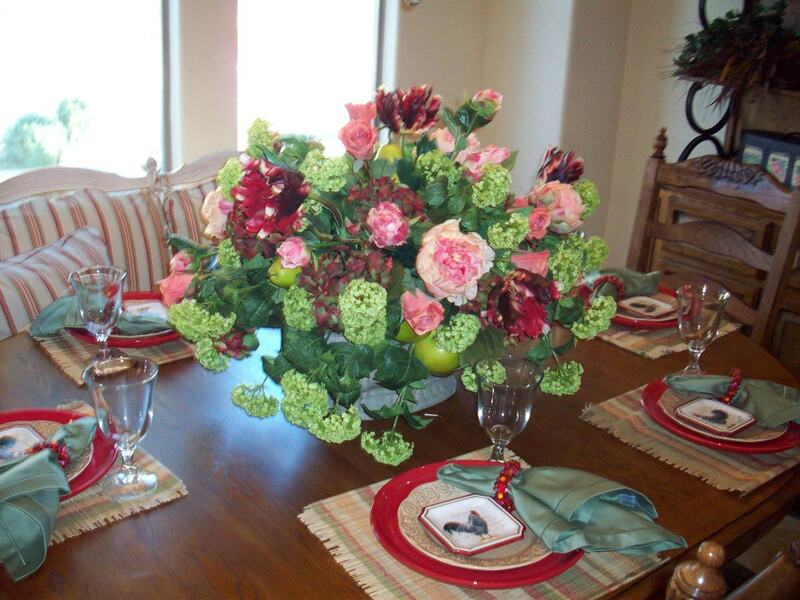 Flower arrangements look beautiful in the center of a table. By displaying your favorite dishes, you'll be able to enjoy them every day. Grouping items I already had made this an inexpensive project. 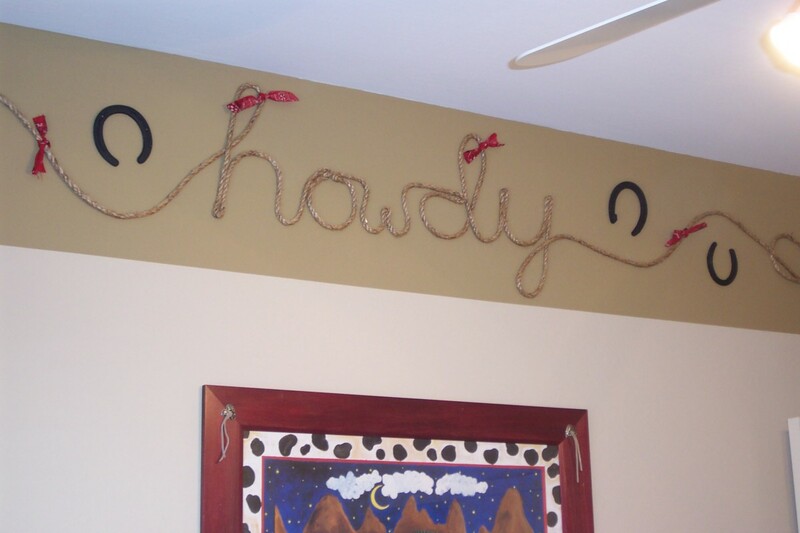 Rope, red bandanas, horse shoes, and paint came together nicely for a cowboy theme in my son's bedroom. When I was pregnant with my son, I decorated his room in a cowboy theme. I needed some cool cowboy stuff to hang on the walls. When I was young, I had a brown cowgirl hat and brown cowgirl boots. My mom saved them, and she gave them to me when I was designing my son's bedroom. They were the perfect touch. In addition to the sentimental items, I used an old shelf from my college apartment and painted it red. 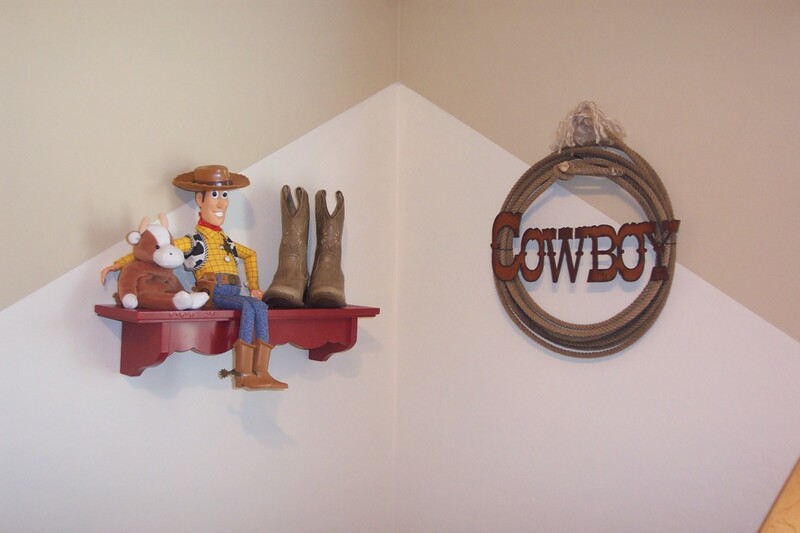 The broken-in boots are displayed on the shelf next to Woody the cowboy and his horse, Bullseye. The cowboy hat hangs opposite of the shelf. Some friends of mine at work gave me a bunch of old horse shoes. My father-in-law cleaned them all up and spray painted them black. They're displayed along the top of each wall with some rope and red bandanas. My son's room renovation cost next to nothing by putting old things to new use. Transform something old and dreary into something stunning and new with a fresh coat of paint. 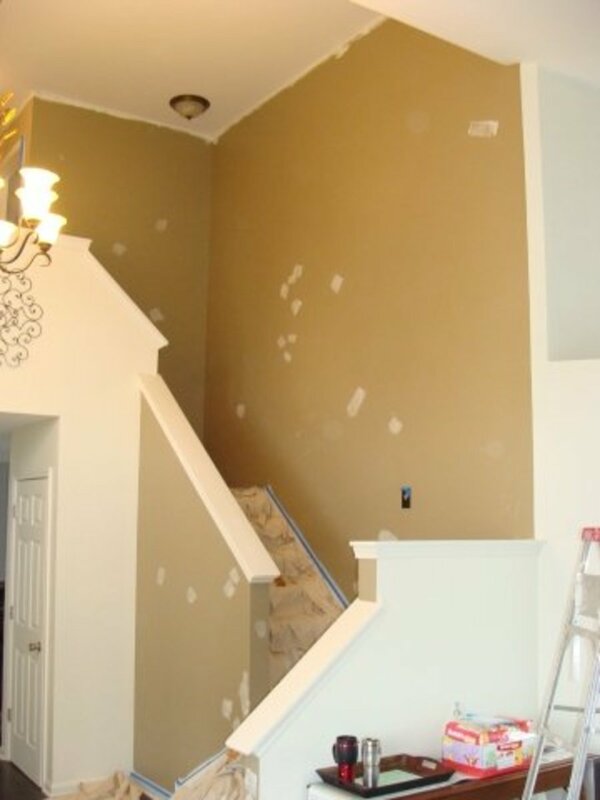 Paint is typically used to give a facelift to lackluster walls. Painting walls undoubtedly makes a bold statement and can add style to any room. Painting one wall or a whole room takes less than a day. Recruit help, and it will go even faster. One person can do the rolling, and the other can trim with the paint brush. You'll need a can of paint, a roller handle, roller sponges, a paint pan, a paint brush, painter's tape, a ladder, rags for cleaning up drips, and drop cloths. All of these supplies can be purchased at any home improvement store. Don't feel like you have to paint all the walls in a room the same color. Just painting one wall adds a nice accent to a room, and it makes the project even easier. You can always come back and paint the other walls later if you feel like one wall isn't enough. If you want to do something bold, try painting wide stripes or paint just the top or bottom half of the walls. 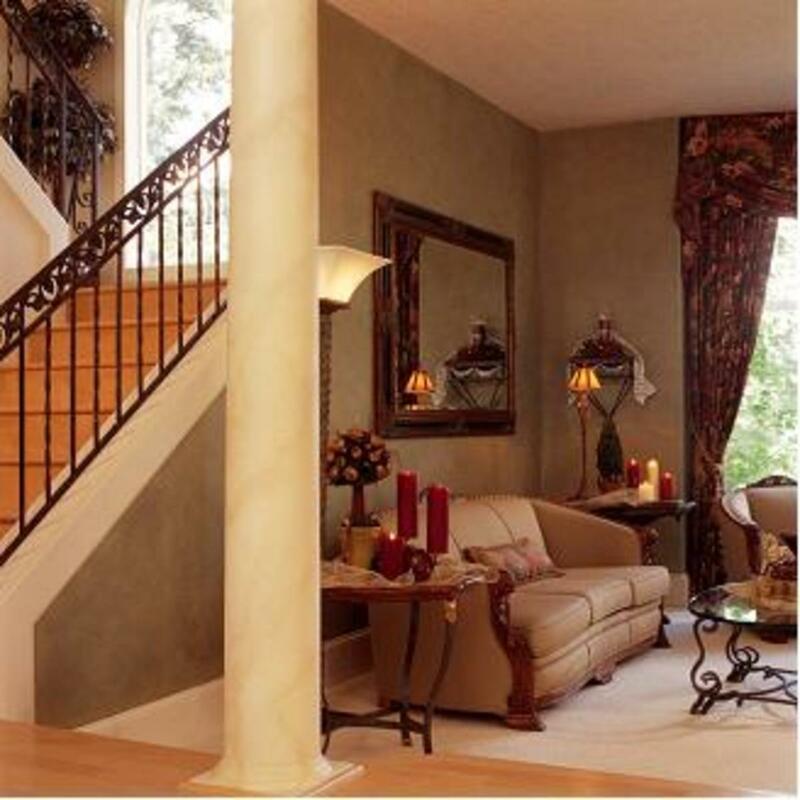 A chair rail can be installed parallel to the ground to separate two colors on a wall. Faux finishes are also a fun way to add style and color. This room has a faux finish on the walls. While using paint on walls is an easy way to make a decorative change, I challenge you to think beyond the walls and use paint on other unexpected objects. Be creative and take a chance. After all, the item you're revamping was just yanked out from under a pile of rubble in the corner of the garage. What do you have to lose? Picture frames, shelves, or mirrors are good starter projects. Try a small project first before you decide to repaint your entire dining room set. (Trust me. . .I just refinished and reupholstered eight dining room chairs, and it was a very long project). A fellow writer even told me she spray painted her laptop! The possibilities are endless. Try spray painting the hardware in your home. Convert your shiny brass door knobs and hinges to brushed nickel for a modernized look. 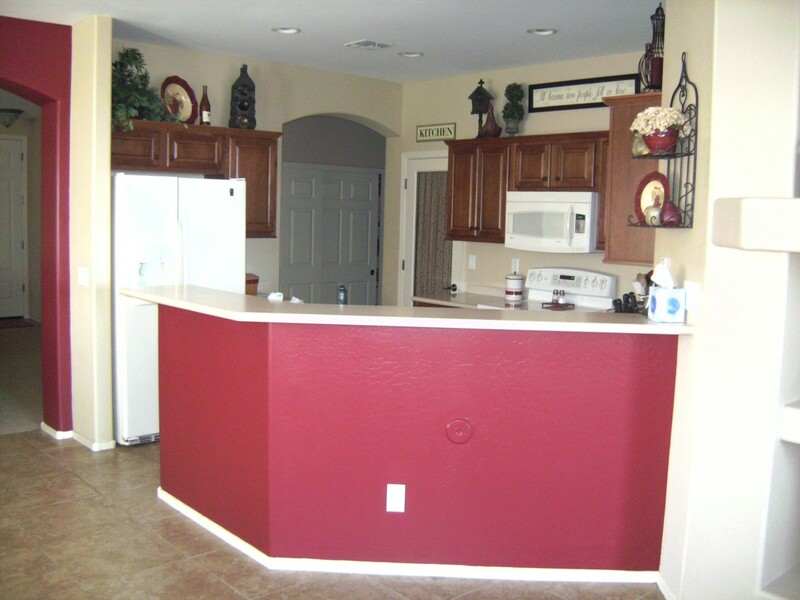 Cabinet hardware, light fixtures, and fans can be remodeled as well with paint. Remove the hardware from the cabinets, and disassemble the light fixtures and fans before painting to make it an easy project. When the parts are dry, reassemble. What an easy way to change the look of your home. 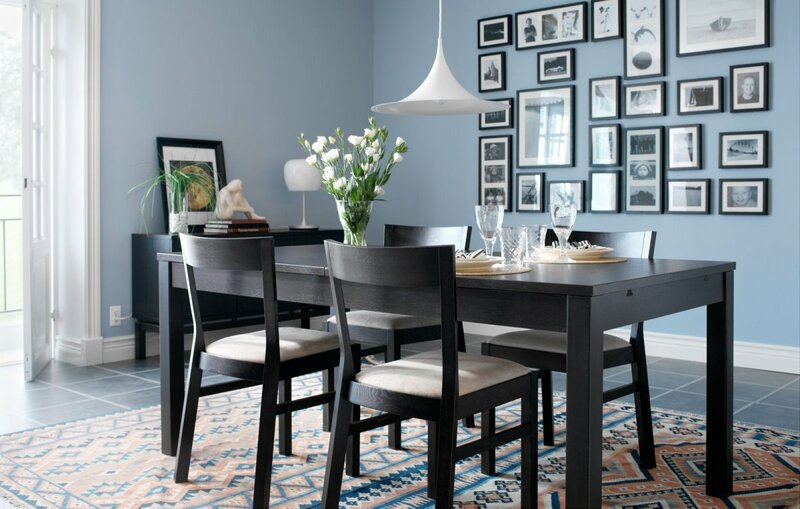 Framed photographs of all different sizes are used to create an attractive collage on this dining room wall. If you're like me, you have lots of family photos hidden in the closet that have never been framed. Pull them out, select five or six, and plan a photo collage for the wall. If your photos are all digital, order a few enlargements of some of your favorites. Sepia and black and white are stylish right now. Buy some inexpensive frames, or reuse frames you already have. Arrange the framed pictures on the wall in groups. 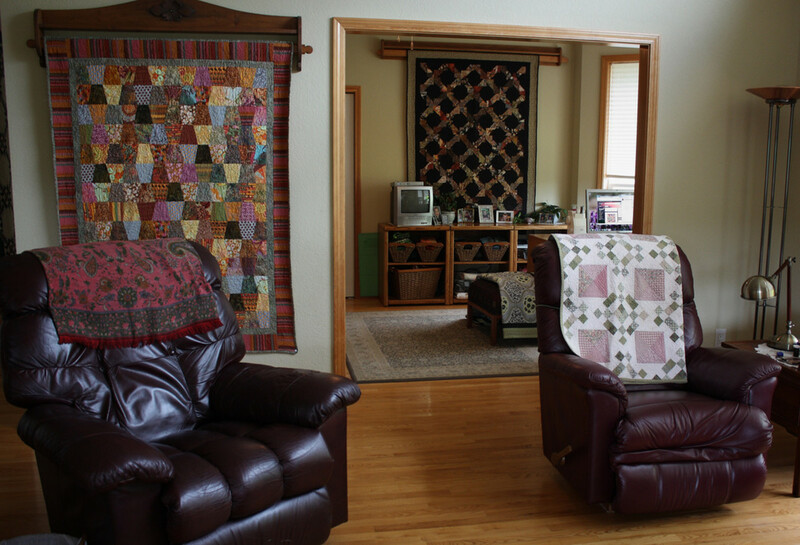 Use mats that match your home décor to bring in some color. This is an easy project that can be done in less than a day if you already have the pictures. You will enjoy seeing photos of your friends and family displayed on your walls. If you don't have any photographs to display, use pictures from a calendar or a photography book. Find some prints that coordinate with your home's color scheme and frame them. There are many ways you can change the look of your home without spending loads of money. Search through your old stuff to find things you can revamp. Decorate your home using things you already have. Pick out some of your favorite things that are sitting in closets unused and use them! Each personal touch you add to your home's décor will make you feel happy. Have fun creating a unique look for your home that expresses your personal style. Its a cool idea to transform your TV into something special by playing a video like this. When you play a video like this for example https://www.youtube.com/watch?v=LRNwfRqTqb8 it gives your room a more lively feeling without distracting anyone. These are great ideas. Thanks. My husband and I love to go to thrift stores and resale places and repurpose things we find. If only some of these things could talk and tell us their past and about the family they came from. We are literally decorating our home one treasure at a time. Very cool post! I have one of the walls in my living room painted in a different color than the others. And on the other walls I have paintings in the same color as that wall. Fantastic ideas. I love the idea of decorating with things that you already have. One of my favorite wall displays are photo groupings, and I love the wooden tray grouping in your first photo. It is really eye catching. Another great idea that you is painting just one wall to freshen up a room. How easy is that! Love the photo collage. Great work. Thanks for reading, Rebecca. I love decorating, but I also love saving money. This is a great way to do both. That is exactly what I do when I am decorating for a client. I ask them to pull things out of the back of the closet or from the garage. One person may see just a basket, but I see so much more, a shelf on the wall perhaps or how about a place to put guest towals in the bathroom. I always use the rule at my design firn All About Décor no shopping until we have used what the client has already. rugsdynamic-thanks for your comments. I love the plate collages too. It's a unique and inexpensive way to decorate. Have fun! Photo collages always look great. I really should add one to my living room. And I just love the plate collage - this is something I intend on putting in my kitchen - I just need to find the 'right' plates. This is awesome. I love to go to auctions and buy the little $1 boxes that are just full of wonderful and different things. Now I know what to do with all of this. BRAVO !! Very good ideas. Never thought of a few of them. I loved your article! 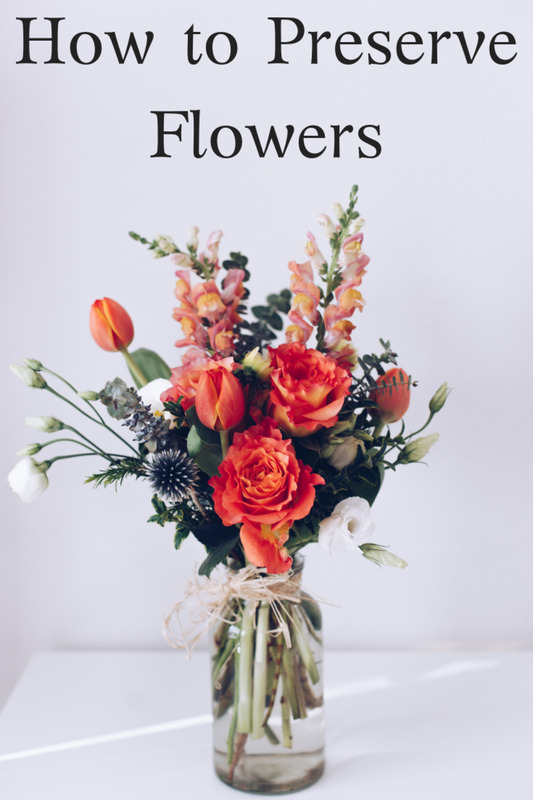 I am a big advocate of using things that you already have to jazz up your home, and it can give your home a brand new look...and it's great on the pocketbook too! Great Job. Beth-I bet you could find all sorts of treasures in your storage! Have fun! Moonlake-I love to use color too. It makes a room feel so much more inviting. Loved your little boy's room. I also use old stuff and hang around the house. 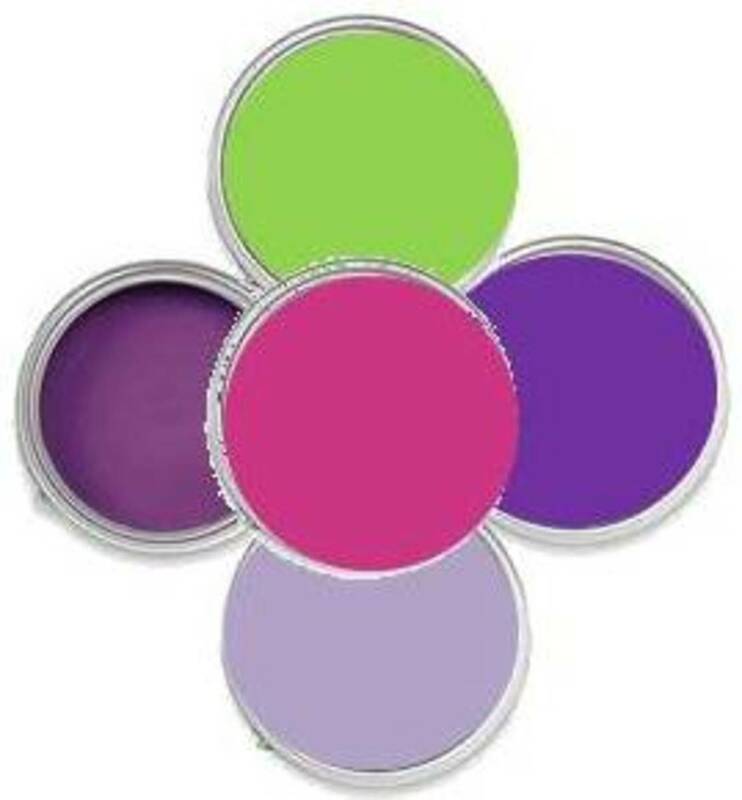 Color is another thing I use in different walls to warm up a room. Wow! Abosolutely brilliant. I love your ideas. Yes, It is cheap and environment friendly. Maybe I can start a make-over making use of old things at my storage. Thanks! Some of them are pictures I took of projects I completed in my house. Others are images that are very similar to the decor in my home. Glad you liked the hub, ilesh vyas! You bet it is, Shawna! It's like children in the past playing with self-made dolls or bunches of sticks. Their imaginations were the keys to the games, the play, and the learning. It's what's inside that means the most. When your friends see what you do, they reach inside, too. Sally-I'm glad my writing could bring back special memories for you! Sounds like your Aunt was a really neat person. I like to come up with my own decorating ideas because I know I'll never see the same thing when I walk into someone else's house...although I think a few of my friends have copied my ideas, because I see similar décor in their homes :) But hey, imitation is a form of flattery, right?! Very cool ideas. When you get done with a project like any of the ones you mentioned, you have something unique, something you can't purchase anywhere. Plus, it holds special meaning for you. My aunt was an artist and her focus was painting and collaging found objects. She had a very distinctive style, a mix of abstract and realist, and her backgrounds were almost always black. I remember walls in her house covered with painted tools and hardware, shelves arranged with painted tins and cans, and rooms full of wooden furniture bearing her unique designs. I loved the oil paint and linseed oil smell of her house. You just brought back fond memories. Thanks, Shawna. Thanks for suggesting these creative ideas! Great hub. I recreated my living room with things I had put away, and the transformation was wonderful. It's my favorite room now. You have some wonderful ideas. Thanks. Yes, these ideas help your wallet and the environment! Ingenious, unique, and a great way to recycle! Love all these ideas...truly mahvelous! gr8archer45-I really like collages too. There are so many possibilities! Great ideas Shawna! 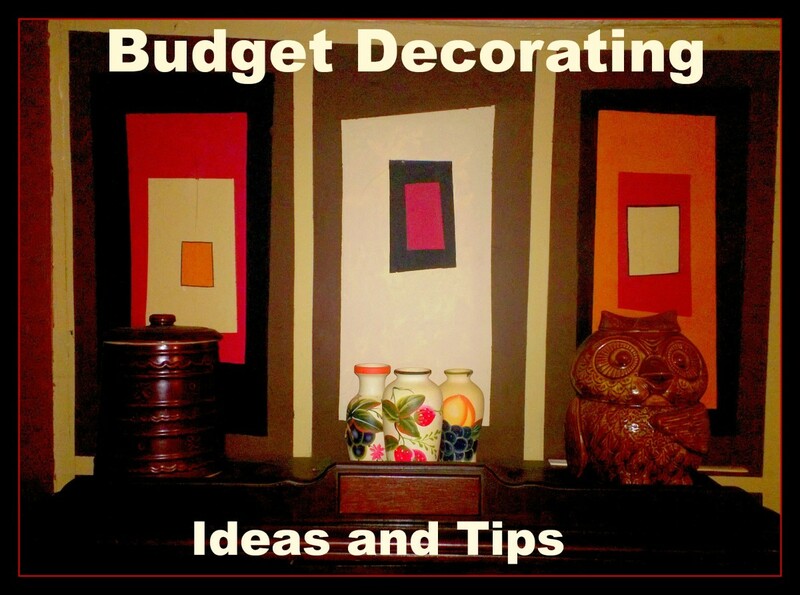 Using what you have and spucing it up with paint is a great way to save money on decorating your home.